Matt Hammitt is an American singer, songwriter, speaker and author. For almost twenty years, Matt was the lead singer for the band Sanctus Real. During that time, the band released eight studio albums with Sparrow Records, toured internationally and released 14 top five and number one singles to Christian radio, earning them a household name amongst Christian music fans worldwide. 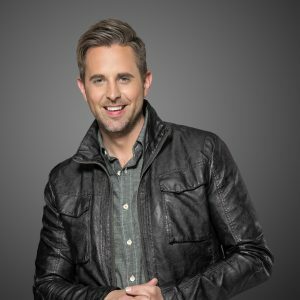 Matt has been the recipient of three Dove Awards, has been nominated for two Grammys for his work with Sanctus Real, and has received multiple awards from SESAC and ASCAP for radio chart performance. Matt has also co-written songs for other artists, including For King & Country, Francesca Battistelli, Jamie Grace, Newsong, Hawk Nelson, Moriah Peters, Jason Gray, Citizen Way and Love and the Outcome.